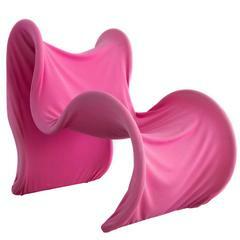 This Gianni Pareschi and Ezio Didone Baffo Lounge Chairs for Busnelli, Italy, 1969 is no longer available. 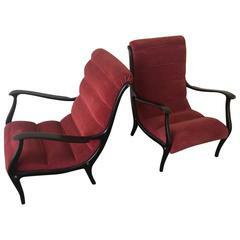 Pair of original vintage Baffo lounge chairs designed in 1969 by Gianni Pareschi and Ezio Didone for Busnelli, Italy. 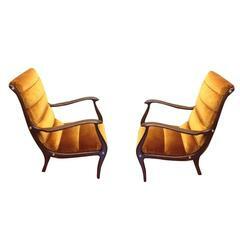 Both chairs are in original leather with beautiful patina. Corners on both chairs show age. One chair is recommended to have leather corners repaired prior to long term use but does support weight. Leather on both chairs is soft and looks great but has a nice patina with some slight stains and scratches. Vintage Japanese folding lounge chair in fantastic original condition. 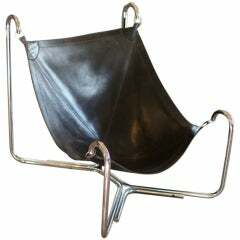 Patinated leather and tube steel. 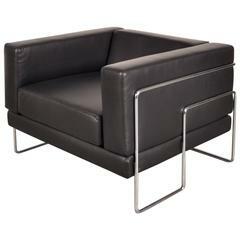 "Baffo" chair by Gianni Pareschi and Ezio Didone for Busnelli, Italy, 1969. Original fabric. Foam and belts professional redone. 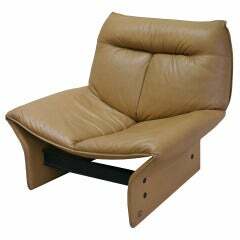 Single tan leather "Rondine" lounge chair produced by Busnelli (marked).